Mt. 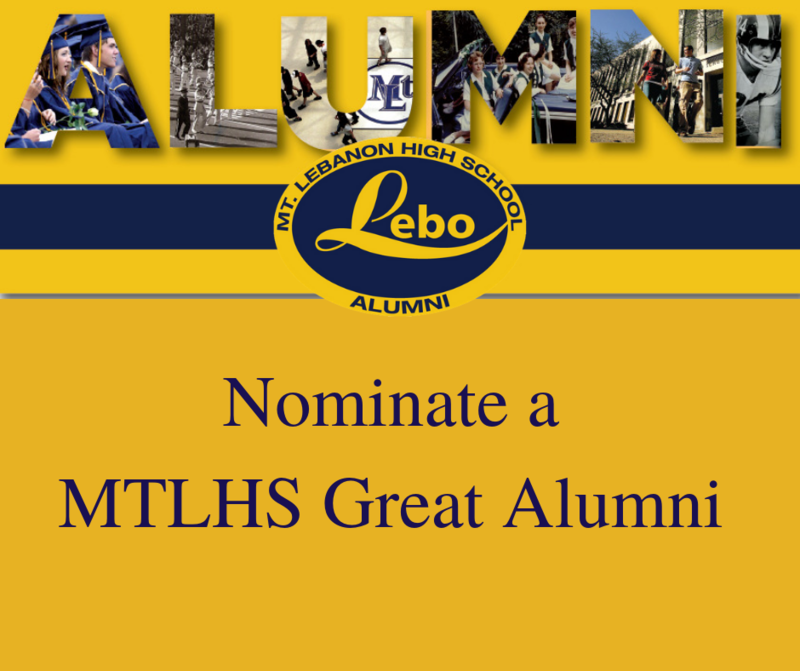 Lebanon High School is accepting nominations for the 2019 Great Alumni Award. This Mt. Lebanon High School Student Council initiative honors people who have demonstrated outstanding accomplishments either personally or professionally after graduating from Mt. Lebanon High School. If you know of a Mt. Lebanon graduate who has significantly improved the lives of others, contributed significant volunteer work or public service, or achieved significant advancement in their professional field, please consider nominating them for this award. Submit your nomination to the High School Activities Director Judith Kolko at jkolko@mtlsd.net. The deadline for submissions is April 15, 2019.